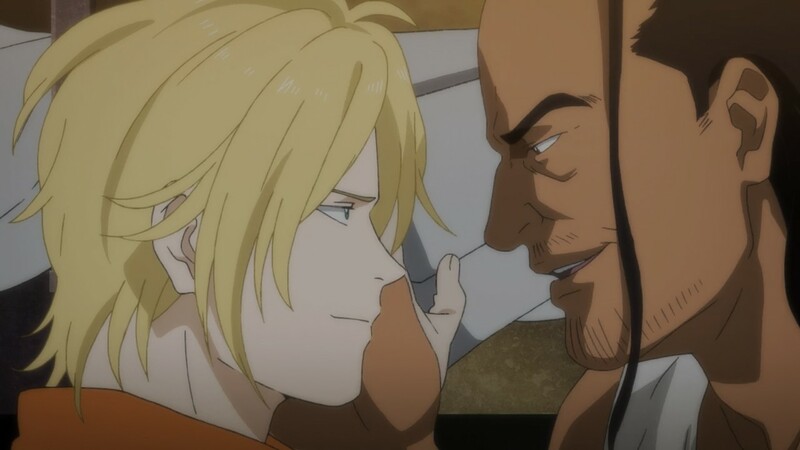 I’ve been slacking on my blogging about Banana Fish, which is a habit I’ve haven’t broken yet. 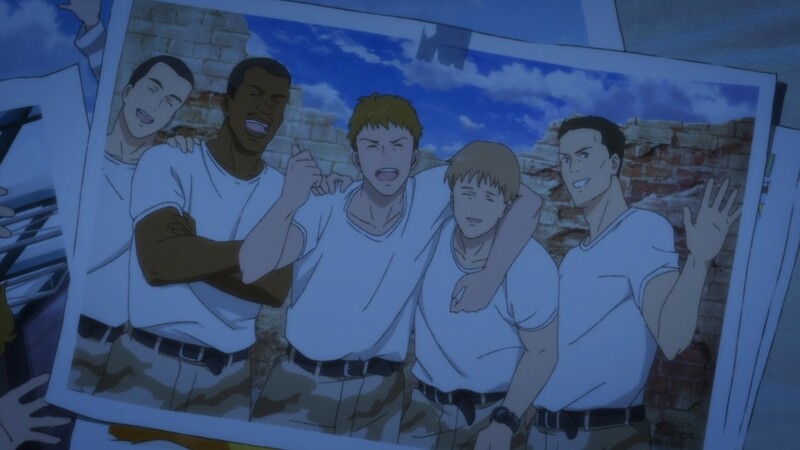 Anyway, this episode, This Side of Paradise, Eiji is in danger at the hands of Arthur and his gang. They threaten to kill the doctor’s assistant if he doesn’t reveal what Ash said to him. He begrudgingly tells him, hoping to save the assistants life. He tells them that Ash told him to retrieve the Banana Fish drug from the doctor’s office. Arthur goes back one his word and still plans on killing the doctor and his assistant. They are not killed as Shorter arrives and holds a gun to Arthur’s head. However, Griffin is not so fortunate, he’s shot and killed. 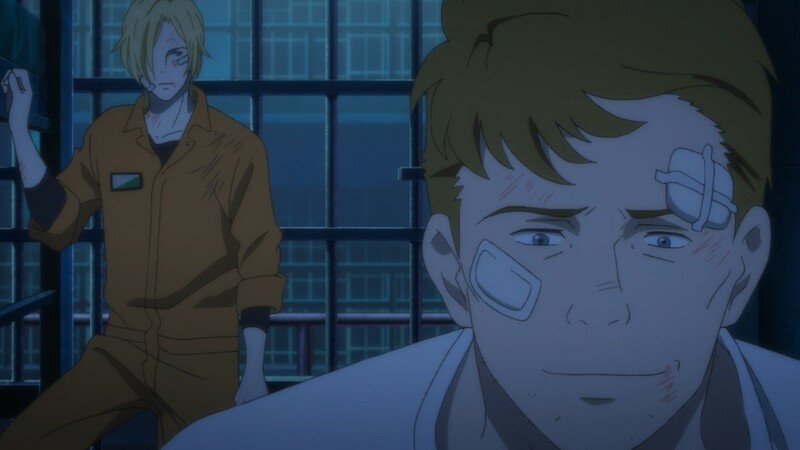 In Prison, Max requests a change in bunk mates, leaving Ash vulnerable. However, Ash is able to hold his own. When Max learns of Griffins death he rushes to inform Ash. When he does hear the news he seems to go numb. When Max warns him not to escape he hits him in the stomach and threatens to kill him next time. Max and Ash fight to exhaustion. Max remembers his time with Griffin during war. Ash finally breaks down as he remembers his brother raising him. The emotional moment at the of this episode was powerful. The reaction to Griffin’s death from all the characters felt very realistic. Everyone didn’t respond in the same way, I though it was well done. We learn more about Banana Fish and its effects. 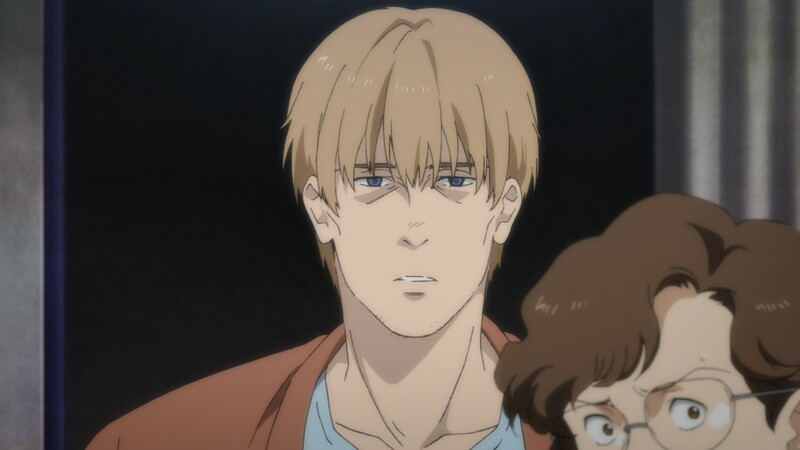 I really enjoyed the simple animation that accompanied the explanation that Dr. Meredith gave regarding Banana Fish effects on rats. Banana Fish continues to impress, as we get closer to finding out what mystery surrounding Banana Fish is.